This video and the information below it explains how to add a button to your Website Builder 7 site and link it to a downloadable file that your site visitors can save or print. 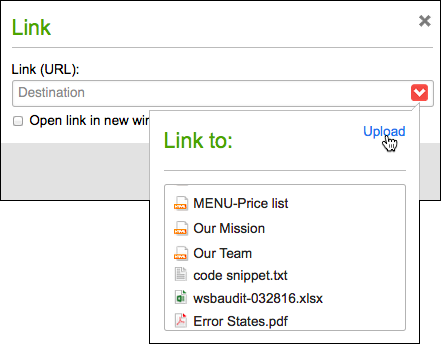 You can upload files — such as spreadsheets, Word documents, or PDFs (Portable Document Files) — with Website Builder. 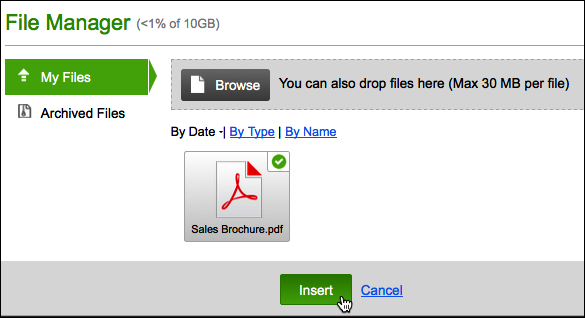 Your site's visitors can then click a button to download that document for offline use. Or if you prefer, you can offer that downloadable file using linked text instead of a button. Note: The files can be no larger than 30MB, and this method is not intended for uploading images or audio files. Instead, see Add image and Adding an audio player. You cannot upload files ending with htm, html, htmlx, js, asp, aspx, mht, php, exe, gem, xpi or dll. In your Products list, click Website Builder, and then click Manage next to the account you want to use. 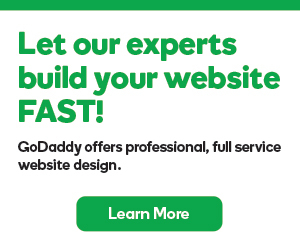 Once Website Builder launches, click Edit Site. Use the page menu to select the page where you want to create a linked button. In the left-hand toolbar click Button, and a button is added to the page. Click the button on the page and choose Settings. In the Settings window, next to Label, enter the text you want the button to display. • Select a previously uploaded file in the Link to list. • Delete a previously uploaded file by clicking Upload and then click the file's trash button in the File Manager. In the File Manager, click Browse to find a file on your local drive. After the file is added to the File Manager, click it. When the green checkmark appears, click Insert. Close the File Manager by clicking the x in the upper right and return to your page. After making your choices, click Save at the bottom of the Settings window. Click Preview to see how the button will appear on your website. When you're ready, click Publish and confirm your choice by clicking Publish again. A window displays a link to your site, which you can click to see the published changes. Or click Close. When your page reappears, click Exit Preview. For more on styling buttons, see Adding buttons, shapes and lines.